The honeybee agenda is to raise public awareness of the honeybees role in ecosystems, how their existence benefits humans, the dangers facing honeybees, and what humans can do to help. 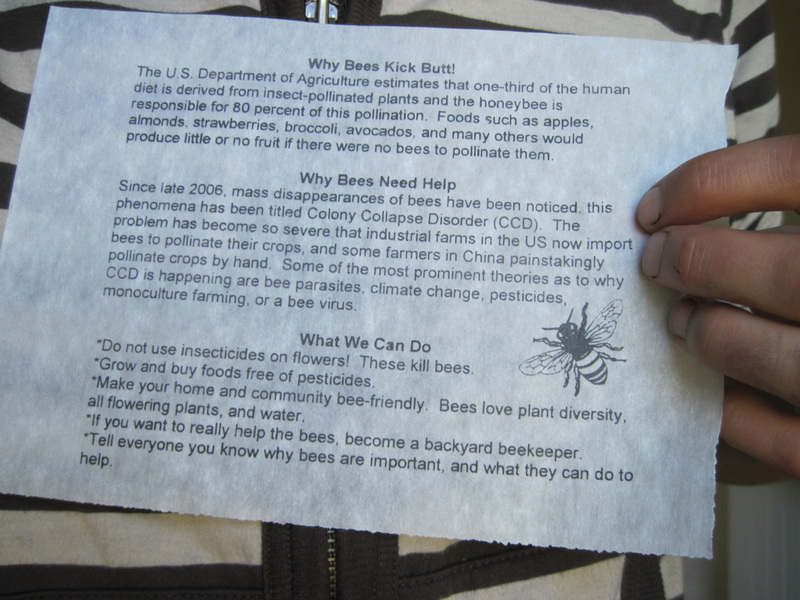 To promote the honeybee agenda I installed brass honeybees in public spaces, and dispersed brass honeybee medallions with information sheets about honeybees. Each person who received a bee accepted the role of spreading the honeybee agenda. This action links jewelry and street art, as they are both public art forms.